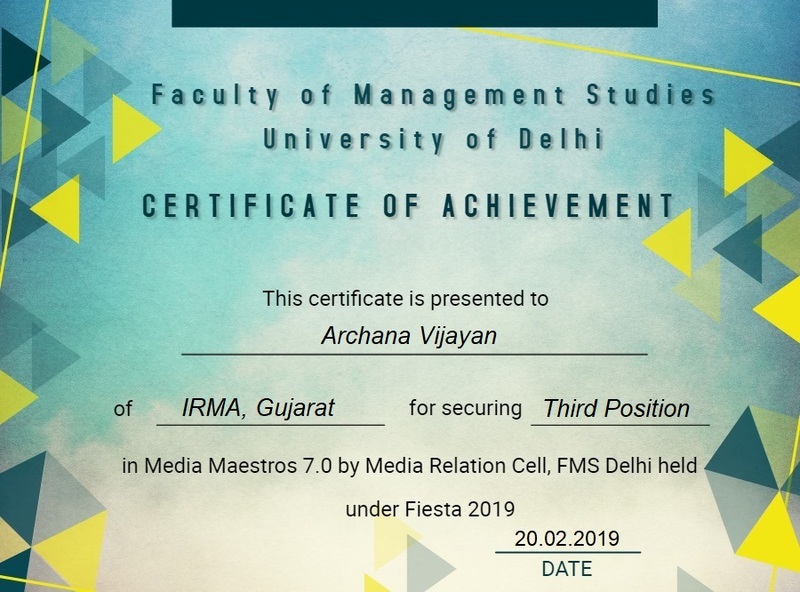 Archana Kamath and Supratim Nandi, participants from the 39th batch of PGDRM, the most recent batch of IRMA’s flagship programme, have secured Third position in the Media Maestros 7.0 competition conducted by FMS Delhi. In the advanced round of the online competition termed, Prachaar, they created a pitch for their own Institute, i.e. IRMA, highlighting its culture, heritage as well as what makes it special. 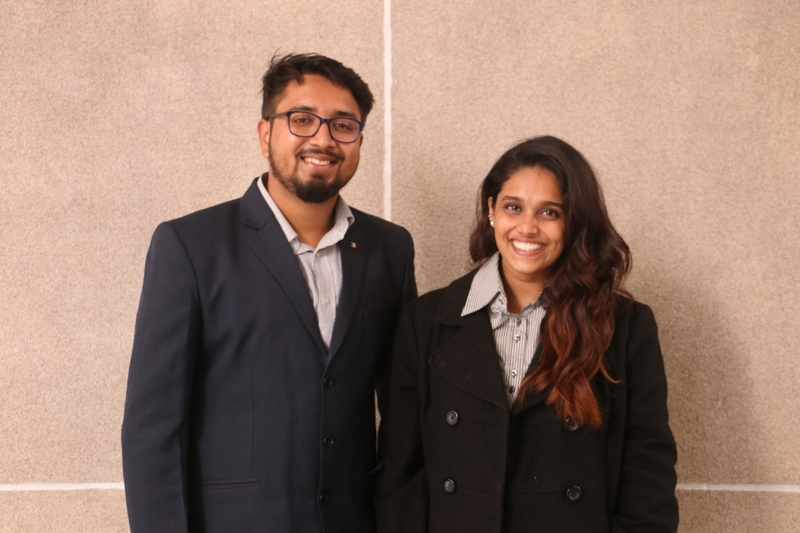 The team of Archana and Supratim competed against teams from other prominent B-schools like MDI, Gurgaon and FMS Delhi.